Very delicate and appealing aroma. The taste is slightly sweet, clear and very refreshing. Very delicate and appealing aroma. The taste is slightly sweet, clear and very refreshing. Chamomile makes a pleasant aromatic tea with a fruity flavor, enhanced by sugar or honey. It is often sipped for relief of health problems ranging from toothache to nervousness. 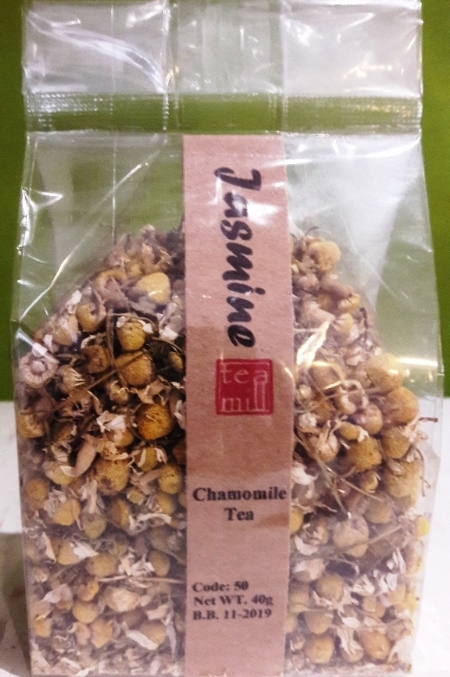 Chamomile has also been noted as beneficial for soothing headaches and is a natural relaxing herb known to assist the restless and those suffering from insomnia. It promotes restfulness and drowsiness. It is also known to assist digestive disorders by settling the stomach and calming the nerves.